Provide comfort for the family of Waltraud McClure with a meaningful gesture of sympathy. Waltraud Ella “Judy” McClure joined her beloved Lord Jesus Christ on December 1, 2018 and her incredible story began 90 years ago in Meissen, Germany March 22, 1928. Though, Mac, her husband of 62 years, left this world in 2011, he was still her forever love. While raising their 5 children, she had no idea the family would grow to include 10 grandchildren, 20 great-grandchildren and 1 great, great grandchild. She loved to say she didn’t have a family rather, she had a “tribe”. There was never a hurdle placed in front of her that she didn’t conquer and she was well able to accomplish anything she set her hand to - she could roof a house and wear heels and pearls with equal aplomb. Her immutable faith in Christ was the bedrock of her life and like and iceberg, her faith was visible in the work of her hands and heard in the wisdom of her words but the largest part was unseen. The hours of earnest prayer for her family and others’ needs cannot now be fully comprehended – many will be astonished one day at the breadth and volume of her prayer life. Her greatest accomplishment is the legacy of faith she created. Her favorite Bible verse was Genesis 1:1 through Revelation 22:21. She was a tremendous Bible scholar and truly found THE scarlet thread woven from the beginning to the end of scripture. Judy was preceded in death by her husband, Mac and their son, Thomas and is survived by her children – Patricia Milton (Wayne), Erik McClure (Jo Ann), Mark McClure, Christina McClure- Pennington (Mark) and the rest of her magnificent ”tribe”. Services will be held at 4 p.m. Thursday, December 6th at Lakeview Chapel at Schrader, Aragon and Jacoby Funeral Home. In lieu of flowers, donations in Judy’s memory can be sent to Wounded Warrior Project, PO Box 758517 Topeka, Kansas 66675 or at woundedwarriorproject.org. Condolences may be offered to the family at www.schradercares.com. 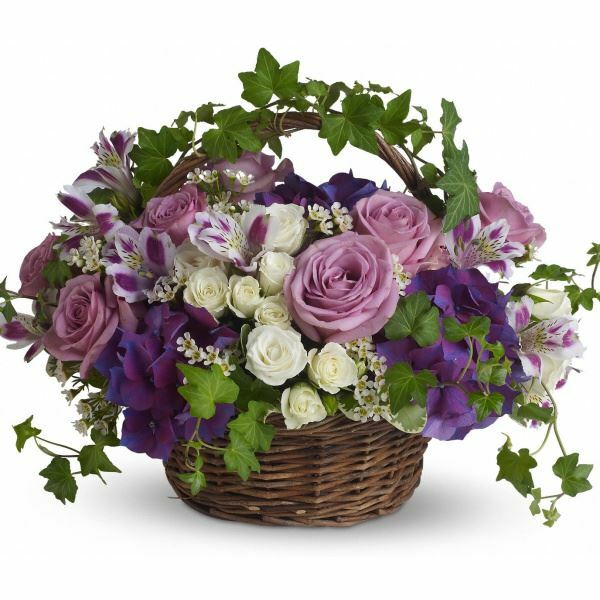 To send flowers in memory of Waltraud Ella "Judy" McClure, please visit our Heartfelt Sympathies Store. We encourage you to share your most beloved memories of Waltraud here, so that the family and other loved ones can always see it. You can upload cherished photographs, or share your favorite stories, and can even comment on those shared by others. Aurora sent flowers to the family of Waltraud Ella "Judy" McClure. She was a very good woman. I am sorry for your loss. My thoughts and prayers to the Family. My deep deep condolences to the McClure family: May you reflect on the precious memories of your loved one. I would like to share what helped us when our precious daughter died and later when my precious husband fell asleep in death as well. I appreciated the calls and visits from all over the U.S. but I recall just sitting down and reading different Scriptures and meditating on them. It was so comforting to read that God cares for me personally... (1Peter 5:6, 7). Yes, He cares, He sees our pain. And, He Jehovah God will in His due time do away with All sicknesses & death (Isaiah 33:24 & Isaiah 25:8). He is indeed a God of comfort. Oh, wow He promises the hope of seeing our precious loved ones again (John 5:28, 29) and says where (Psalms 37:11). He always keeps His word. I hope that these few Scriptures were of some comfort to you as they were to me. So sorry for your loss. She was a rare treasure. Aurora purchased flowers for the family of Waltraud McClure.